Three killed, one wounded in shooting attack in Har Adar, northwest of Jerusalem. Terrorist eliminated. At least three Israelis were killed and a fourth wounded in a terror attack in the town of Har Adar northwest of Jerusalem Tuesday morning. 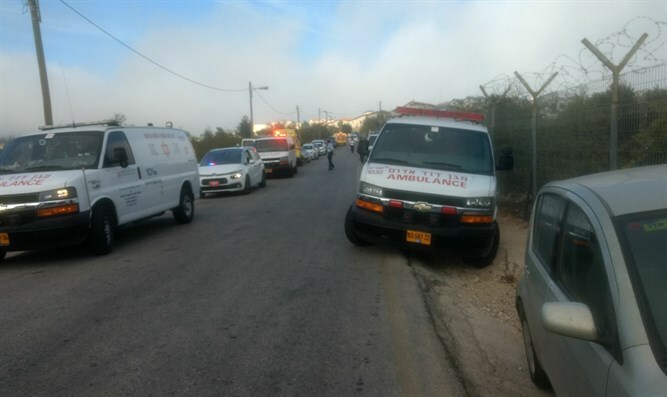 According to initial reports, at 7:14 a.m. a terrorist opened fire on a group of Border Police officers and guards near the back gate of Har Adar, used by Palestinian Arabs who work in the town. Police say the terrorist aroused the suspicions of security forces stationed at the gate. 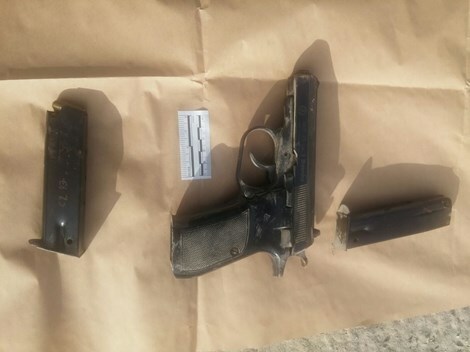 When he was ordered to halt, the terrorist drew a pistol concealed under his shirt and opened fire on security forces stationed at the entrance. Emergency medical teams from MDA have been dispatched to the scene and are currently treating the wounded. MDA officials reported that three of the injured were in critical condition and the fourth in serious condition. Hadassah Ein Karem Hospital in Jerusalem reported that one shooting victim was evacuated to the hospital’s trauma center in serious condition. Army Radio later reported that three of the wounded had succumbed to their injuries. The terrorist was shot and killed by security forces. Moshir Abu Katish, a United Hatzalah volunteer emergency first responder from the Israeli-Arab town of Abu Ghosh, described the scene of the attack. “I ran to treat the injured people who were suffering from gunshot wounds to their upper bodies. More volunteers from United Hatzalah began to arrive and assist in the treatment. EMTs, paramedics, and aoctors all arrived at the scene as did our Psychotrauma and Crisis Response unit who is tasked with providing emotional and psychological stabilization at scenes of major trauma such as this one. Unfortunately, the three more seriously injured people in the attack were pronounced dead at the scene. A fourth person who was injured we treated at the scene before he was transported to the hospital for further treatment and observation."